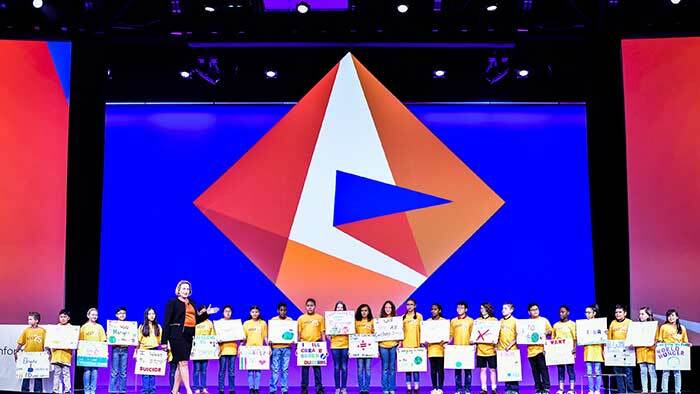 To celebrate 25 years of innovation, Informatica launched the Next 25 initiative at Informatica World 2018. 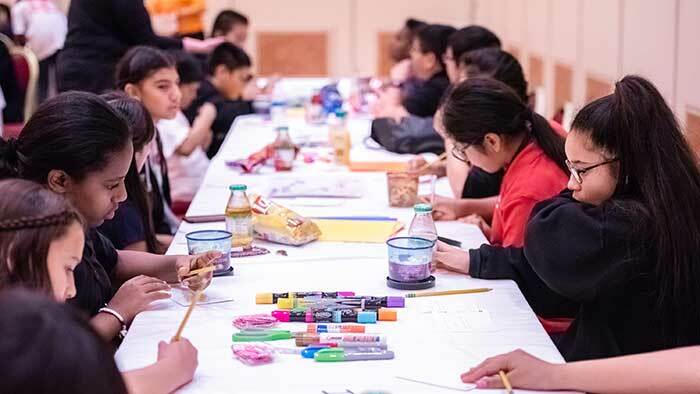 The seven-year initiative is a partnership with The Public Education Foundation and Cashman Middle School in Las Vegas to close the opportunity and access gap for 25 students enrolled in Cashman’s STEM magnet school program. The initiative provides hands-on learning opportunities, one-on-one student engagement, family involvement, Genius Camps to build social skills and self-confidence, and a $2,500 college scholarship for each participant. See local television news coverage of Next 25 in video clips from KTNV and Las Vegas Now. Informatica Involved shows our passion for improving people’s lives in our neighborhoods and the global community. Informatica may be the leader in Enterprise Cloud Data Management, but we’re also all about people—our employees, customers, partners, and those who need help in the neighborhoods we live in as well as the global community. Informatica Involved, our corporate social responsibility program, shows our commitment to improve people’s lives as our employees generously give to those in need. Informatica Involved supports many worthwhile causes, such as global hunger-relief drives, youth and education programs, and health-related campaigns. When natural disasters strike, Informatica Involved has matched employee donations to provide relief for catastrophic damage to property and life. Our employees also show their commitment to making a positive impact in their communities and beyond. In August 2017, Informatica employees in Austin, Texas, collected donations to help those affected by Hurricane Harvey and delivered donated goods to flood victims in Houston. Employees donated food, water, blankets, paper goods, cleaning supplies, and diapers. In June 2017, more than 20 Informatica France employees took part in the Action contre la Faim (Action Against Hunger) challenge race. Together, they raised almost 4,000 euros to donate to the cause of ending world hunger. Informatica employees from our office in Cary, North Carolina, donated their time to bag 2,848 pounds of red and baked potatoes and 2,778 meals for the Food Bank of Central & Eastern North Carolina. The food bank serves people at risk of hunger in 34 counties in North Carolina. The humanitarian crisis in Syria prompted one Informatica employee to get involved directly. After traveling to a refugee camp in Turkey, she helped set up a microenterprise selling handcrafted bags to support refugee families. Other Informatica colleagues pitched in with donations to aid organizations. Informatica has a zero-tolerance approach to any form of modern slavery. We are committed to acting ethically and with integrity and transparency in all business dealings. We have controls and systems in place to safeguard against modern slavery within our business and supply chain. This statement is made pursuant to section 54 of the U.K. Modern Slavery Act 2015 to document our policy regarding modern slavery and human trafficking, as well as our efforts to ensure that any form of modern slavery—which could include slavery, servitude, human trafficking, and forced labor—is not taking place within our business or supply chain.